It’s been a big week for Google. 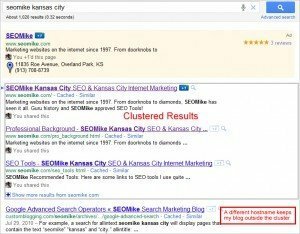 They made significant changes to the way they list sitelinks and clustered results. 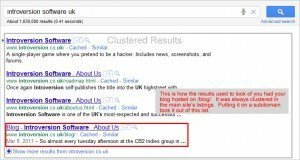 First up; sitelinks. 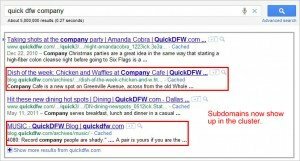 Sitelinks are the little links you see below a URL that is fairly powerful and ranked at number one. The easiest way to see them is for searching for a company by it’s name. 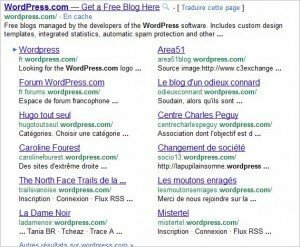 Google changed site links to include the URL of the destination page, a description of the destination page, and expanded the list to twelve instead of eight sitelinks. The changes are nice, but in my opinion a bit messy. The thing that I think looks messy is the fact that they’ve expanded the information about the links to include a URL and a description, but they have significantly shortened the number of characters that will be displayed. If Google want this to be “user friendly” they will have to do one of three things; 1. 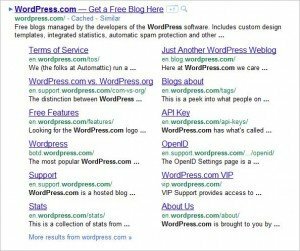 Lengthen the descriptions in sitelinks to accommodate the same number of characters as a “regular” listing, 2. Specify a specific sitelink meta tag, or 3. Allow webmasters to control the sitelink descriptions through webmaster tools. 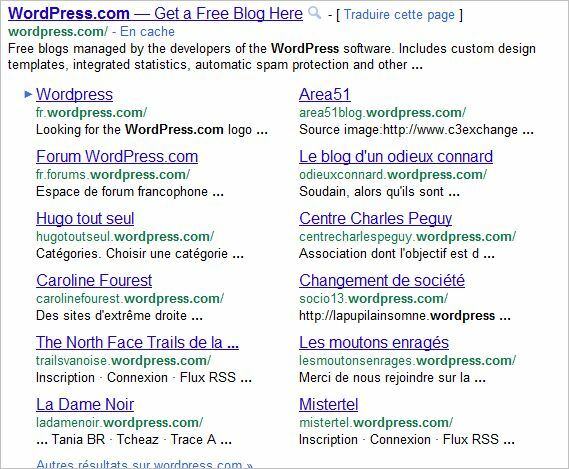 Another major change in sitelinks is a little bit more subtle. 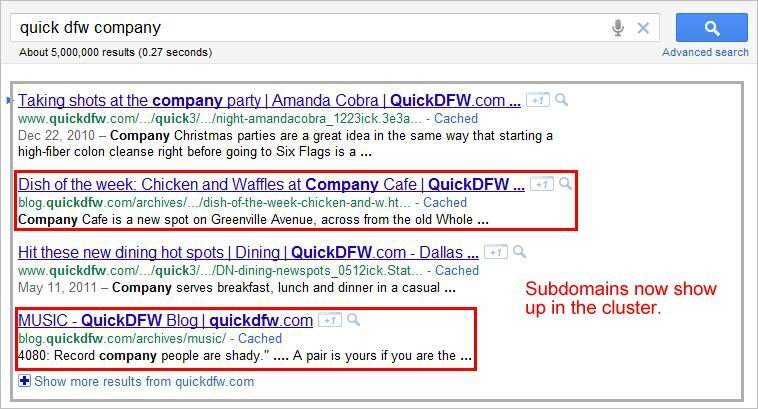 Google is now including subdomains in the list. 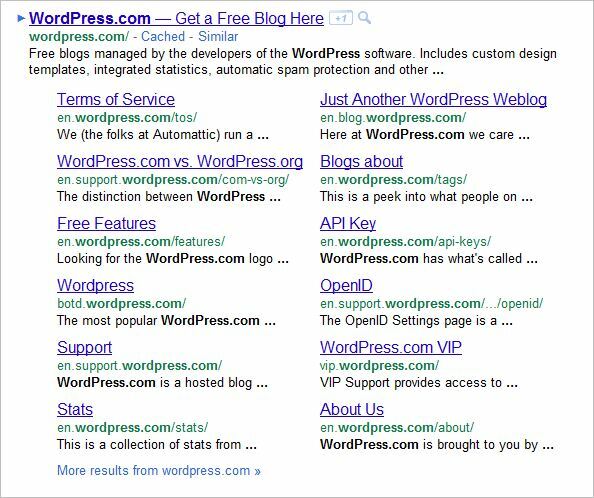 These used to count as separate hostnames to Google and were excluded from sitelinks. They were even excluded in clustered results, which we’ll discuss later. Now, on to Clustering. First, an explanation. 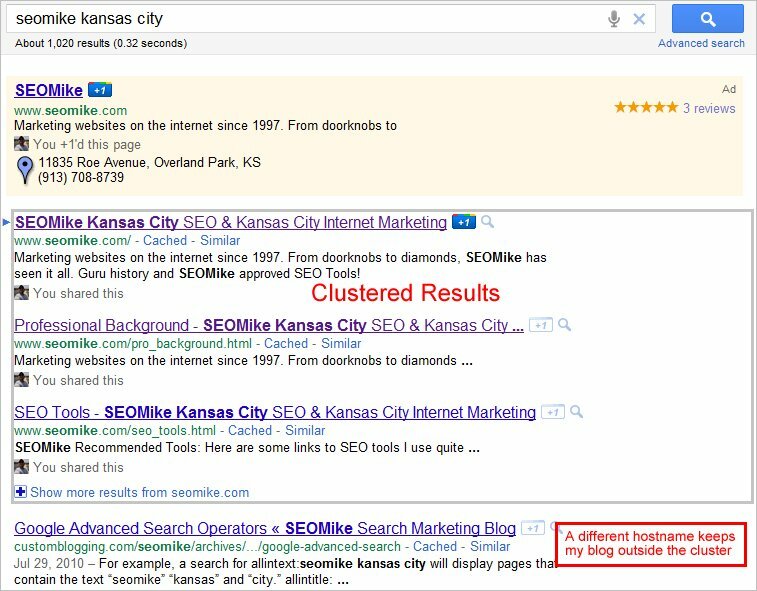 Clustered results happen when the same domain has pages that rank on the same page of results. 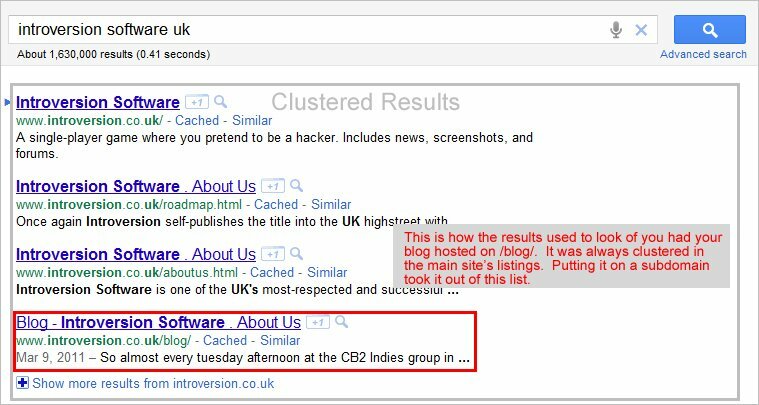 For example, if a domain has a page ranked at #1 in Google for a certain query, and another page ranked at #6 for that same query, the #6 result is automatically promoted up to #2 to be “clustered” with the highest ranking occurrence from the same domain on the page. Until now, subdomains were excluded from clustering and you could now only own position 1-4 for a query from clustering, but you could possibley own 5 and 6 with another subdomain as well. It was a great way to dominate the first page of the listings. It seems that we have to go a bit farther to keep a site out of the cluster by giving the blog an entirely new URL. Something like [company]blog.com would do. As you can see in the image below, my blog is unaffected by the new clustering method because as you can see in my URL, my blog is hosted outside of my main URL.